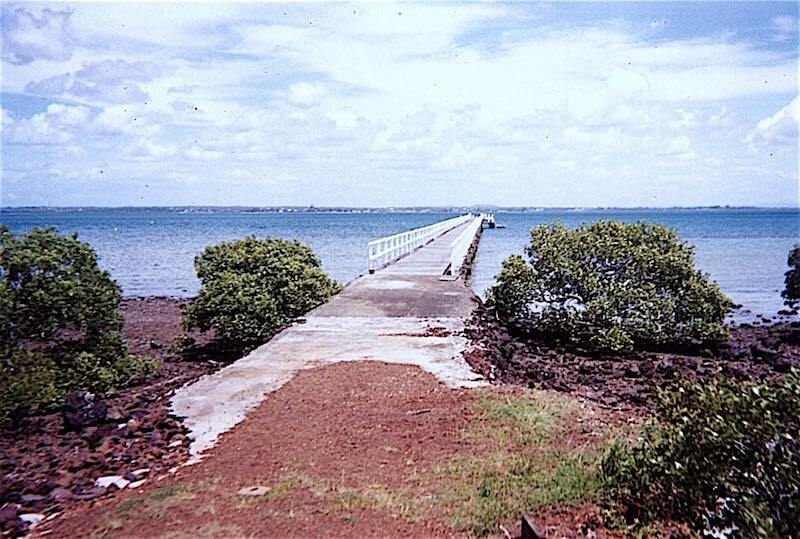 As a keen follower of Peel Island’s history for over 35 years, I was very interested in the Wynnum Herald article of 28 October 2015, which called for Government funding to construct a jetty on Peel Island once more. Ever since its western jetty had been condemned and finally demolished in the late 1990s, the cry has been going out for its replacement. From 1989, while the jetty was still usable, tour operators brought many groups who showed intense interest the island’s history. Such groups included the Redland Shire Council’s History Week celebrations, the Leprosy Mission, the Lady Brisbane, bird watching groups, Queensland Naturalists Club, the Brisbane History Group, and the Coochiemudlo Island History Group. Most came to see the former leprosarium, which closed in 1959, but were also struck by Peel’s natural, and largely unspoilt, beauty. So there is also a strong case for eco-tourism. But as well as European history, Peel, or Teerk Roo Ra to its Indigenous people, has a rich Aboriginal history and culture. So I am gratified to see that Cameron Costello, Quandamooka Yoolooburrabee Aboriginal Corporation chief executive has joined in the chorus of people asking for Government investment to upgrade the island’s infrastructure, notably its jetty. Teerk Roo Ra could be a showplace for Aboriginal culture of National importance. A precedent as a place of learning has already been set when ‘Churchie’ (Anglican Church Grammar School) leased some of the former Lazaret buildings for their camps from 1968 until it relinquished its lease in 1993. With a new jetty, other groups could be involved – not just from schools, but also art, church, environmental, and social groups as well. Jetty technology has developed markedly since the days of the old wooden goliath pictured above. Also the viaduct to the jetty is still intact, so a jetty could be built at reasonable cost. I wholeheartedly support a feasible study being carried out.